With thousands of slot machines, hundreds of table games and a multi-table Poker Room, our casino resort has everything you're looking for in a world-class gaming experience. Whether you're betting pennies or dollars, you'll experience the thrill of gaming right here! Enjoy unique perks, benefits and luxuries when you become a Cache Club member. Receive special invitations to exclusive tournaments and skip to the head of the line for top dining and entertainment. Plus, you'll get $25 in Resort Credit when you signup! Choose from thousands of slot machines. Enjoy exciting bonuses and high paybacks, as well as a non-smoking area featuring more than 300 slot machines. Find all your favorite Vegas-style table games right here at Cache Creek. Choose from more than 100 table games including single deck, double deck and shoe games. The High Limit room offers Blackjack and Baccarat along with a full-service bar and VIP Casino cage. Philip was born and raised in Vietnam. He attended Saigon University and obtained a Bachelor's degree in Business Administration with concentration in Marketing. 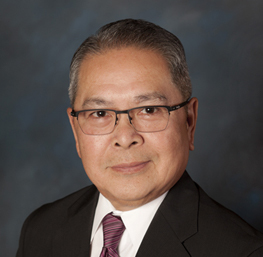 Philip had years of gaming experience and had worked at Garden City Casino in San Jose before joining Cache Creek Casino Resort, then named Cache Creek Indian Bingo and Casino (CCIBC), in 1993. As the new Casino Shift Manager at CCIBC, he oversaw the gaming area, including slots and table games. With his extensive experience in building customer relations, he became the Director of Player Development for Casino Marketing in 2002. He was greatly involved in the company's evolution to what is now known as Cache Creek Casino Resort. Philip enjoys going out to dinner with his friends, visiting his family in San Jose and checking out other casinos in the area. Mat was born in Exeter, Ca. He grew up in the Fresno and Porterville areas. Mat has an Associate's Degree in Occupational Studies from Le Cordon Bleu Hospitality & Restaurant management. He joined the Cache Creek Casino Resort team in 2006 as a slot technician and was promoted to a slot floor supervisor in two years. Employing superior guest service, he was then moved to High Limit slot supervisor a year later. Mat's experience and relationships with VIP slot players made him an ideal Casino Host candidate and he joined the team in 2013. Developing new relationships and tackling new challenges on a daily bases are what Mat loves most about being a Casino Host. Mat loves taking his family out to the park, going to the gym and trying new foods. Born and raised in the Philippines, Sheila migrated to the United States in 2006; she graduated from De La Salle University, earning her Bachelor's degree in Hotel and Restaurant Management. She started her career at Cache Creek Casino Resort back in 2007 at Hotel Operations and later transferred to our Food and Beverage department as an Assistant Manager, handling different outlets during her tenure. Sheila joined the Casino Marketing team in 2016 as the Player Development Coordinator, working alongside with Casino Hosts. In 2018 Sheila was promoted to a Casino Host. She says that being a part of this team is an immensely gratifying experience. To see and to know that everybody's main goal is to make sure that the services rendered are for the satisfaction of the patrons, makes all the hard work worth it. Cherishing every moment with her family is Sheila's favorite past time. Mary was born in Los Angeles, but was raised locally in Woodland, Ca. She has been at Cache Creek Casino Resort since 2002. Mary started her career in the Bingo Department, and transferred to Slots a few months later. She was promoted to a slot supervisor where she excelled at building guest relations with some of our top players. Her friendly personality and contagious smile made Mary a good fit, and she joined our Casino Host team in 2017. Her favorite part of being a host is getting to meet new people and learning all the different cultural customs. Mary enjoys family time and loves watching her kids' different activities. Her favorite thing to do is watch her son play football. Taekeun was born and raised in South Korea. He moved to the United States in 1992 to pursue his Bachelor's degree in Math at the University of California, Davis. 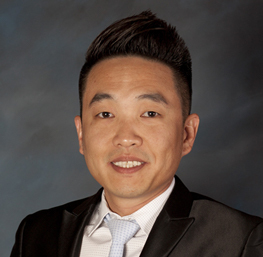 In 1998, Taekeun began his career at Cache Creek Casino Resort as a table games dealer. He was promoted to floor supervisor and scheduler a few years later. 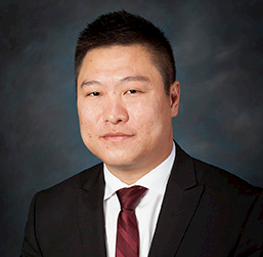 He joined the Casino Marketing team in 2003 as a member of the first group of Casino Hosts here at Cache Creek Casino Resort. Taekeun says the best part of his job is meeting new people and providing the best guest service possible. His attention to detail and language skills make him a valuable member of the Casino Host team. Taekeun loves to spend time with his family and is quite an avid golfer. 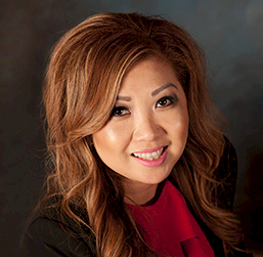 Jenny was born in Vietnam but grew up locally, graduating with a Bachelor's Degree in accounting from California State University, Sacramento. She joined Cache Creek Casino Resort in 2002 as a Cache Club representative. She later transferred into the table games department as a dealer, and was swiftly promoted to supervisor. Jenny's vast knowledge of the gaming side of Cache Creek, along with her guest service experience and her fluency in multiple languages makes her an exceptional addition to the Casino Host team. Jenny spends her free time with family, camping, traveling, shopping and bowling. Antonio was born and raised locally, in the beautiful Capay Valley. He started his career in hospitality at R.H. Phillips Winery, where he organized weddings and private events. He joined the Cache Creek Casino Resort team in 2010 at our fine dining C2 Steak and Seafood Restaurant. His passion for food and the fine dining experience drove him to pursue a career in hospitality, focusing on an overall involvement. After many years in fine dining, Antonio wanted to expand his hospitality expertise, so he joined our marketing department and was hired to our Casino Host team in 2017. Antonio enjoys rafting, hiking, and exploring the outdoors with his friends as well as visiting different restaurants. C.J. was born in Guangzhou, China and immigrated to the U.S. with her family in 1996. She grew up in Sacramento and has also lived in Davis and Sonoma County. She has a Bachelor's Degree in Sociology-Organizational Studies with a concentration in Marketing from the University of California, Davis. C.J. 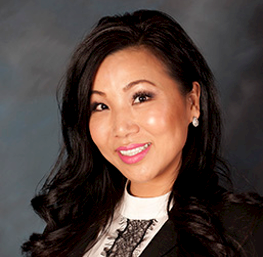 began her career in Casino Marketing with the opening of a Northern California property in 2013. 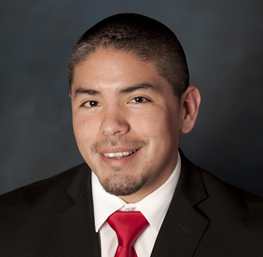 Relocating back to Sacramento, CJ joined our Cache Creek Casino Resort team in 2019. With her excellent customer service experience and vast knowledge of Casino Marketing, she makes the perfect addition to our talented Casino Host family. Her favorite part of being a Casino Host is getting the opportunity to meet new people and create great friendships. C.J. spends her free time eating, traveling, and exploring for her next adventure. Kee was born in South Korea and migrated to Guam in 1986, where he spent his childhood and lived for 16 years. He relocated to San Francisco in 2002 and a year later started his career at Cache Creek Casino Resort as a table games dealer. After just nine months, Kee was promoted to Table Games floor supervisor where he broadened his knowledge and experiences in the gaming industry. Kee joined the Casino Marketing team in 2016 as a Casino Host. His favorite part of being a Casino Host is the opportunity to meet new people on a daily basis, and building genuine long-lasting relationships with them. Kee enjoys recording 4K videos and taking pictures outdoors with his advanced drone. Hang was born in Vietnam, but grew up locally in Stockton, Ca. She received her bachelor's degree in finance from California State University, Sacramento. 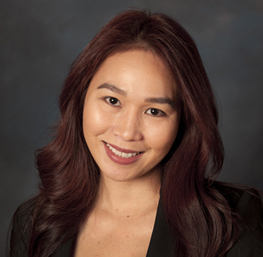 In 2005, Hang started her career at Cache Creek Casino Resort as a Table Games dealer. In 2011, she was promoted to Table Games supervisor and continued to excel in her gaming industry career. In 2017, Hang joined our marketing department as a Casino Host. She is a hard-working, family woman who enjoys every aspect of her job. Her favorite part of being a Casino Host is seeing the smiling faces of her clients every time they have a fantastic time here at Cache Creek Casino Resort. Hang loves to shop and spend time with her family and friends. Penny was born and raised in Cebu City, Philippines. In 1995, she came to sunny California and joined the team at Cache Creek Casino Resort, working in the Food and Beverage department. Penny quickly moved on to Table Games as a dealer and promoted to supervisor a few years later. In 2005, Penny brought her hard-working dedication to the Casino Host team. Penny says the best thing about being a Casino Host is, "mingling with our guests, meeting new people from all walks of life and building long-lasting relationships." Penny enjoys time with her family. She cherishes those precious moments spent with her children, whether at school functions, soccer games or just a walk in the park. David is originally from Beijing, China. He has a Bachelor's degree in Journalism and worked as a journalist for 11 years. He decided to move to the United States to see a different world. 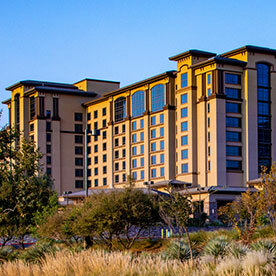 David joined Cache Creek Casino Resort in 2002 when the property began its first expansion. He started in Food and Beverage, and worked his way up to become a Casino Host when the Player Development Department was established. 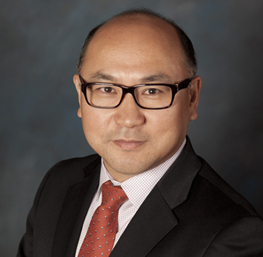 He specializes in a variety of fields, such as marketing, player development, events and promotions. David enjoys sports, music, travel and great food. Gabrielle was born and raised in Hong Kong. She studied at The Chinese University of Hong Kong. 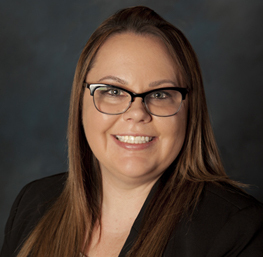 Prior to joining the Cache Creek Casino Resort team, Gabrielle held several positions in customer service, account management and marketing. Gabrielle joined Cache Creek in 2002 as a Cache Club representative, and shortly after transferred to the Casino Marketing team to become a Casino Host. The favorite part of her job is to help provide and sustain a superb entertainment experience for all of her guests. Gabrielle enjoys shopping, reading and listening to music. James joined Cache Creek Casino Resort in 1999 as a supervisor in the China Camp Restaurant. He later transferred to the Marketing department and is now a member of the Casino Host team. Prior to joining CCCR, James worked in the restaurant and event planning industries for more than two decades. 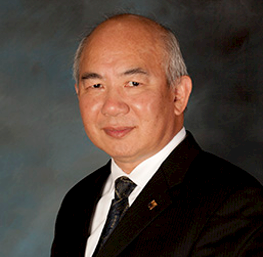 His years of experience make him a natural at providing outstanding customer service for resort guests. James' fluency in multiple languages, coupled with his extensive community involvement, give him the skills and sensibilities to provide excellent service and attention to each of his guests. James likes working in his garden and tending to his Koi pond. He also loves to spend as much time as possible with his family and enjoys traveling. Debbie is a longtime resident of the Sacramento area. She has an Associate's Degree in Social Sciences from Sacramento City College. Debbie's career at Cache Creek Casino Resort began in 1999 as a table games dealer. She was soon promoted to casino floor supervisor and developed a comprehensive knowledge of the Table Games department. Debbie has distinguished herself as one of the most affable employees you will encounter at our casino. Her commitment to providing the best casino resort experience to our diverse guests, along with a charismatic aura, made her a natural addition to the Marketing Department as the player development coordinator in 2015. In 2016, Debbie was added to our talented team of Casino Hosts. Debbie enjoys shopping, wine tasting and trying different cultural foods from all over the world. Kayle was born and raised locally in Woodland, Ca. She has been with Cache Creek Casino Resort since 2002. Kayle's hard work and dedication have been a hallmark of her career. Some of the positions Kayle held prior to joining our Casino Host team include High Limit slot supervisor and slot shift manager. Kayle's experience in the slot department, along with her upbeat personality, are among the reasons that we were excited to add her to our Casino Host team in 2014. Kayle's goals and objectives are a combination of a well-balanced personal and professional life. The love for her new position shows, as she takes extreme pride and enjoyment in identifying and meeting her guest's needs. Kayle likes spending quality time with her children, relaxing by her family's pool and shopping. Lester was born and raised in Quezon City, Philippines. He started his career in the casino industry in Reno in 1989, where he diligently worked his way up from slot attendant to slot shift supervisor, and eventually slot manager. He joined the Cache Creek Casino Resort Slot Team in 2001 as a shift supervisor. 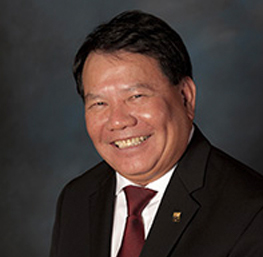 Because of Lester's love to socialize and assist guests to ensure a great resort experience, he then transferred to the Casino Host team in 2004. Lester loves to golf, hang out with family and friends, and travel. Elaine was born in Vietnam. She came to the United States with her parents when she was four years old and grew up in Sacramento. 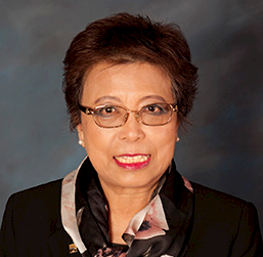 Elaine has been with Cache Creek Casino Resort since 1998 and held the positions of dealer and floor supervisor prior to becoming a Casino Host in 2003. Her dedication to insure that each of her guests have the best resort experience on each of their visits has made her one of the best Casino Hosts in the area. When asked what she enjoys most about her job as a Casino Host, Elaine says, "I really enjoy how the guests have become like an extended family to me." Elaine loves spending time with her family and hanging out with her friends. Vatsana was born in Laos and came to the United States with her parents and four younger sisters at the young age of 9 years old. She and her siblings were raised in the Santa Rosa and Sacramento regions. She obtained her Bachelors of Science Degree in Business Management and Marketing from the University of Phoenix. 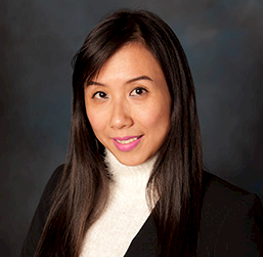 She started in the casino industry as part of the opening Casino Host team at Graton Casino. 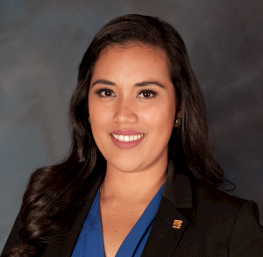 In 2018, Vatsana relocated back to Sacramento and we are thrilled that she has joined our Player Development family here at Cache Creek Casino Resort. Vatsana's favorite part of being a Casino Host is her enjoyment of interacting and assisting our casino guests which she considers each of them as an extended family member. On her off time, Vatsana enjoys working out, cooking, traveling, outdoor activities and attending sporting events as well as spending quality time with family and friends. Kai was born in Heilongjiang Province, China but moved to Davis, CA in 1997. He started working at local restaurants at the age of 16, and helped manage his family's restaurants for many years. He joined our Food and Beverage department at Cache Creek in 2016, where he worked as Assistant Relief Manager for various outlets to provide our guests with quality service and dining experience. Kai always wanted to expand his horizons and learn how the Cache Creek operation, functions as a whole. With that objective, he joined the Player Development team in the first half of 2018. Kai loves being a Casino Host, he says, "I'm driven by the challenges that come with it. Seeing the smiles of the guests gives me so much satisfaction and fulfillment." Kai enjoys playing soccer and competitive golf tournaments. He also enjoys the company of family and friends where he can lay back, laugh, and share moments that will become treasured memories.